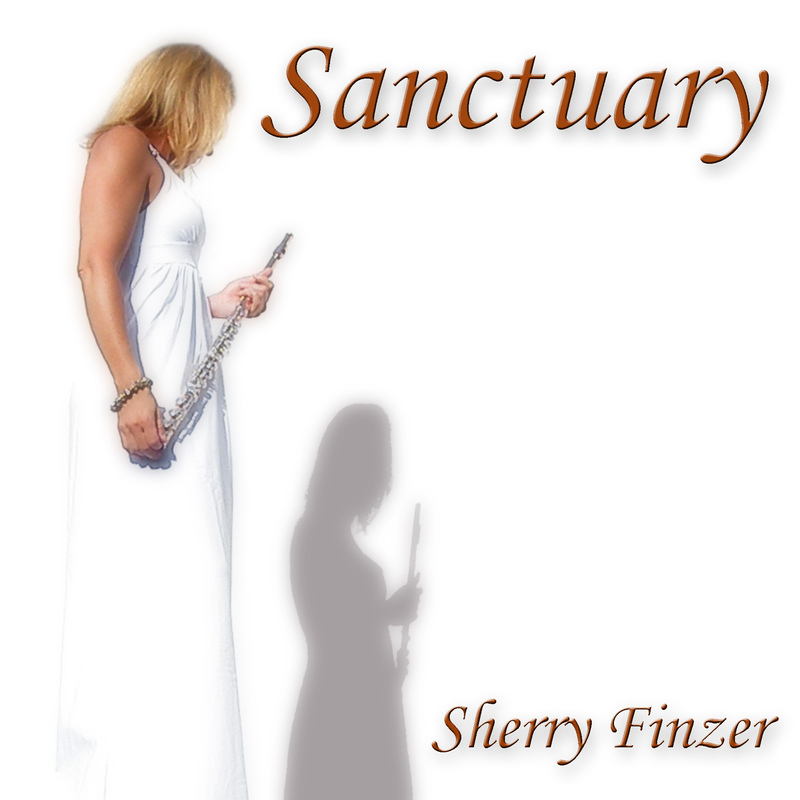 Sherry Finzer, flutist extraordinaire and a highly inspirational woman in many ways, not just musically, is a shining example of “creating one’s reality from who one really is.” And that is what the current concept of “New Age” has been focused on as of late. But the thing about Finzer is that she makes it all look so very easy. Everything. And perhaps it is. Or maybe it isn’t. She’s definitely got a dedicated and admirable work ethic. Either way, we can all take a page out of Sherry’s “note”book as we blaze our own trails in whichever way we choose, musically or otherwise. 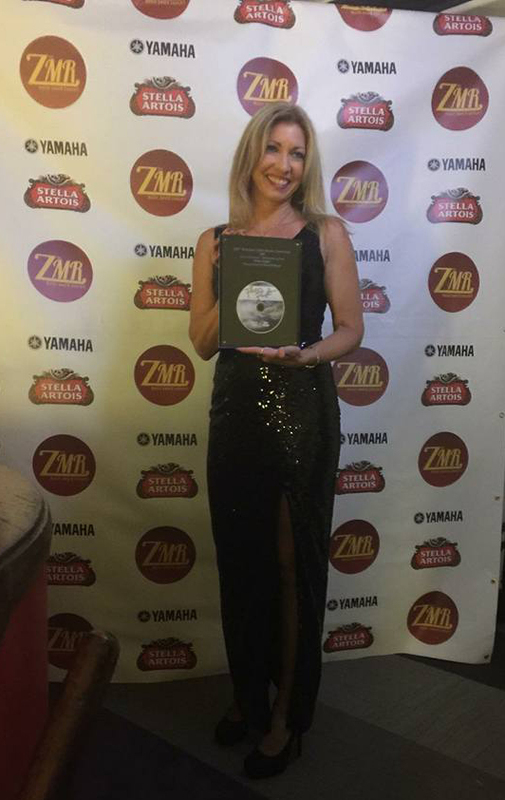 Sherry just won the Zone Music Reporter award for Best New Age Relaxation/Meditation Album of the Year, for her album with Mark Holland, Flute Flight. This is her first award with “ZMR,” even though she has been previously nominated. We were able to catch up with her for this interview, fresh from the win in New Orleans, where the ZMR music awards were held recently. NACD: With that cleared up, Sherry, how did it feel to win your first ZMR music award? SHERRY: I was so shocked. I couldn’t believe I won over Steven Halpern and even Deuter, who was awarded a Lifetime Achievement Award. I didn’t have a speech prepared. I’m still shocked. NACD: Flute Flight is a beautiful album. We love it. ZMR got it right. It’s the most relaxing music ever. Tell us about the making of it. 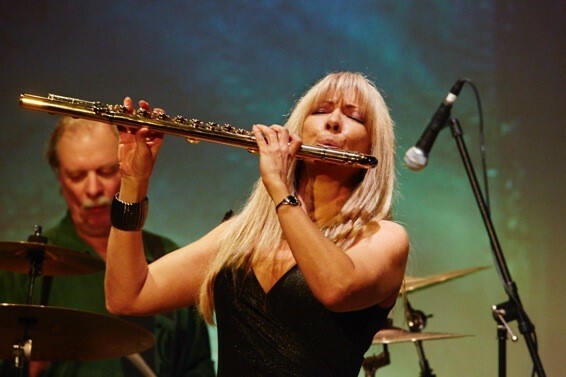 SHERRY: Flute Flight is a collaboration with Mark Holland, an acclaimed Native American flute player. We did it all in the studio. The whole album is improvised. The whole thing. NACD: That’s amazing. How long have you been playing the flute, and what is your musical training? 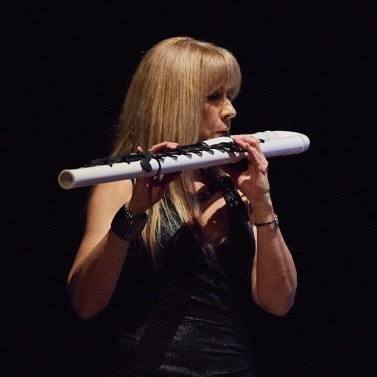 Finzer told us she hails originally from Syracuse, New York, and then Rochester, New York, where she started her classical flute training in elementary school. Innately competitive, she went on to become 1st Chair, 1st Flute, a position she held regularly throughout her years in her school’s orchestra/band. She had planned to pursue music as a college major, but ultimately decided not to go in that direction. Instead, she went the marriage and kids route. Nothing wrong with that, and she didn’t play music for a very long time, she told us, but in our opinion, we can’t truly ever get away from who we are and what we came to do. In Finzer’s case, that is an award winning flutist who, in addition to her recent ZMR win, has won numerous local and national flute competitions. However, that’s not all. There is much more to her story than just flute playing, competing, and winning awards. Interestingly, Sherry mentioned that she played in an orchestra while she was pregnant with her son, Nick, and he now is a professional jazz trombonist. She credits Nick with her eventually picking up the flute again after her long abstention, as she was trying to assist him when as a child he was first learning to play an instrument. That’s when she decided to pick up her flute again. As her journey continued its natural course, she started to notice the more healing aspects of her musical gifts emerging. A few years ago she was invited to Fairbanks, Alaska to participate in a music therapy setting. NACD: Sherry, tell us about your Alaska trip. SHERRY: It was amazing! It was through the Fairbanks Summer Arts Festival and my friend, Jane, was involved in a music therapy program, “Music as Medicine,” designed by Dr. Deforia Lane. Deforia cured herself of cancer through music and that’s when she decided to become a full time music therapist and she set up all these programs across the country. I had the opportunity in Alaska to go around with my friend and work with teenagers in a group home and also with Alzheimers and dementia patients. NACD: What did you notice about these music therapy sessions? SHERRY: Particularly with the Alzheimer’s and Dementia patients, it would seem just like death when we first walked in. The patients looked like they were sleeping. After we played our music using different instruments and singing, they’d awaken and they also started singing. The whole room came to life. NACD: You’ve had more experiences with the healing power of music since then? SHERRY: Definitely. In fact, my collaboration, Transformation, with guitarist Darin Mahoney is all about healing. Darin was diagnosed with stage 4 liver cancer and they had given him only a few months to live. His is another amazing story of how he healed cancer through music. That was several years ago now. He’s still here and we are still collaborating. NACD: Do you see yourself doing more work with the healing aspects of your music? SHERRY: Yes! After I released my first album in the Sanctuary series, people would come up to me and tell me how relaxing it was, how it calmed them down, took away their stress and anxiety, and how it even helped them sleep. It’s interesting because the Sanctuary series is when I first started writing and performing all original music. On June 24, 2016, I’m doing a sound healing event with Amy Faithe in Mesa, AZ, at the Floating Lotus Yoga Center. People can buy tickets here. NACD: What do you find, if anything, to be the most challenging aspect of creating music? SHERRY: I can easily write a melody, because flutes have no chords. But the melody is just one part of the music. So that can be a little challenging. But the most challenging thing, actually, is writing the music out, because I hear it in my head. And then I just play what I’m hearing. NACD: There are a lot of different kinds of flutes. What is the difference between them and what is your favorite? SHERRY: My favorite flute is the alto flute. It has some very rich tones. And also lately I’ve been doing a lot with bass flute. I find that the tones resonate more for healing work with these particular flutes. The alto flute I’ve been working with is made by Yamaha and it’s a gold/brass alloy. The base flute I’ve been working with is by a company called Guo. I am now an official performing artist for Guo. This is an interesting flute. It’s made out of composite plastic but it sounds like a wood sound. It’s a lighter weight flute and I use it frequently for outdoor performances. Too, it sounds really good in the recording studio. It records very well. NACD: Can you play any kind of flute? In other words is a flute a flute a flute? 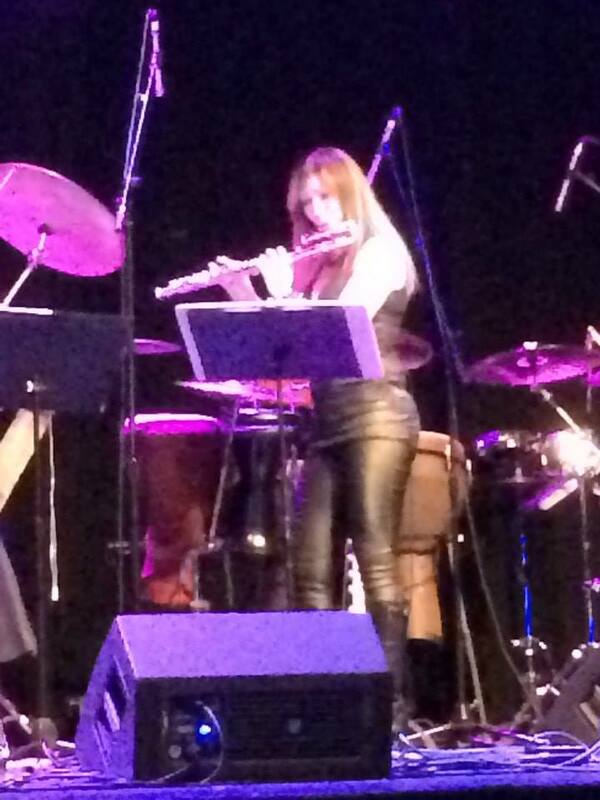 SHERRY: I can play almost any kind of flute, but they are all a little bit different. Right now I’m learning more about how to play the Native American flute. NACD: We heard you’re coming out with a Christmas compilation CD. Tell us a little about that. SHERRY: It’s called Christmas from the Heart. We have 16 different artists on it and some original songs as well. It’s not the usual Christmas fare. We have guitar, piano, vocals, harp, harmonica, Native American flute, and. . . a country version of jingle bells. It’s definitely different. It will be available for wholesale sales in June and available to the public in October, 2016. NACD: What words of advice do you have to any aspiring musician? SHERRY: Do something different. Create your own sound, create your own unique group, Don’t be afraid to do that. And then go out and do it. NACD: Why do you think you’re so successful? SHERRY: I don’t give up.